Happy Sunday everyone! I hope you have all had an amazing weekend and are having a chilled out Sunday like me. 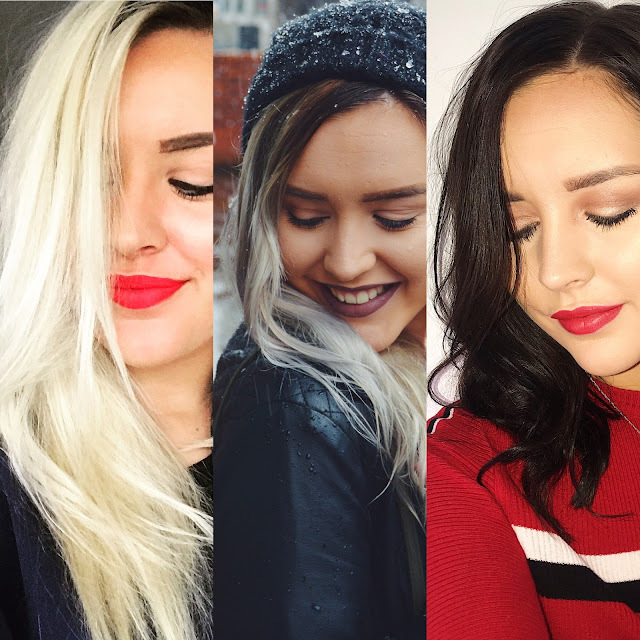 I have had quite a few messages and comments about my hair colour change and also about the products I use, so I thought it would be the perfect time to write a blog post on this! 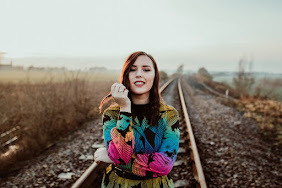 I am going to talk you through why I decided to change my hair colour and some of my holy grail shampoo and conditioners which I think a lot of you will love. I think that it's so important to look after your hair and also know what products are best for your type of hair. Hair is one thing that you can change and it make such a huge different to your appearance. I am really happy with the colour of my hair and so happy that I made the change to go darker! I was always known for being Blonde. It's the colour my hair has been for as long as I can remember and I did really love it. I had never chosen to go any other colour than Blonde and it's what people knew me to have. I really liked being blonde but it was a lot of effort to keep up with the roots and the constant bleaching of the hair. In September 2017 I decided that I wanted a bit of a change, so I decided to go for Silver hair! This was a decision that I really really loved and having Silver hair was amazing! I really loved how it looked and everyone else also loved the Silver hair too. But again, as this needed quite a bit of upkeep and maintaining, my hair was not enjoying this stage as much as I wanted it too and I think it needed to change to improve the condition of my hair. I started to leave it so that my roots were growing out and that's when I decided that I wanted to go darker. I knew it was going to be so much easier to maintain and I was also feeling really inspired by seeing other people with darker hair as well. Gal Gadot, Mila Kunis and Michelle Keegan were all people who I follow on Instagram and seeing pictures of them with their dark brown hair really made me want to do it! May this year I decided to go for it and dye my hair darker! If I'm honest, I really don't know why I didn't do this sooner as I am completely in love with it! I really love the shade that it's at now and I have even gone darker than what we initially went just because I love it so much. I think that it looks in better condition and feels so much healthier too as I'm not bleaching it and dying it all the time. The only thing that I now need my hair to do is grow! I am really enjoying the length of my hair at the minute but as always, I would love it if it grew some more. From what everyone has said to me, they much prefer me with darker hair and I think I am in agreement! The one thing that I have noticed is that I do look better once I have put some tan on or have makeup on because darker hair does make me look a little paler than usual. But overall I am so happy that I decided to go darker. I think it was the right time to make this change before I turned 21 and it seems a lot more fashionable to me and my current style. It is a million times easier to maintain and it has never felt healthier. 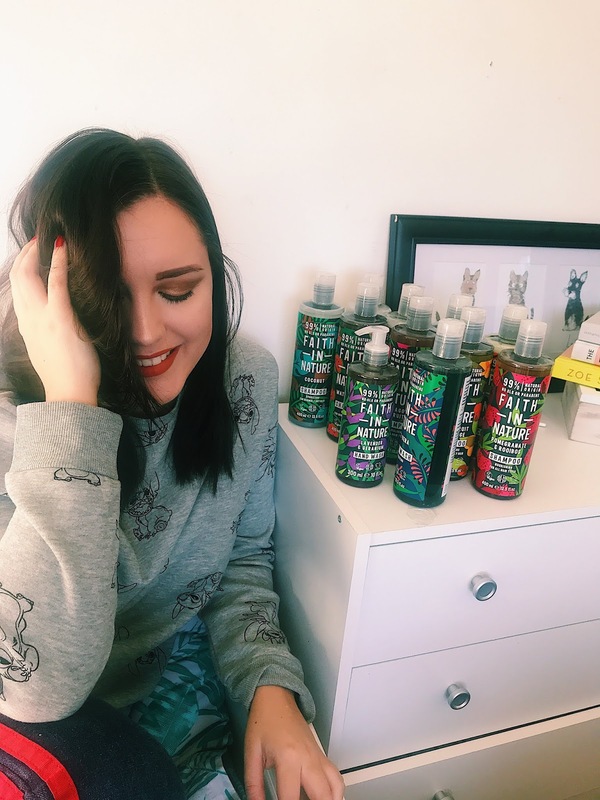 This leads me nicely onto the next part of my post because I wanted to share with you some products that have been keeping my hair feeling amazing! 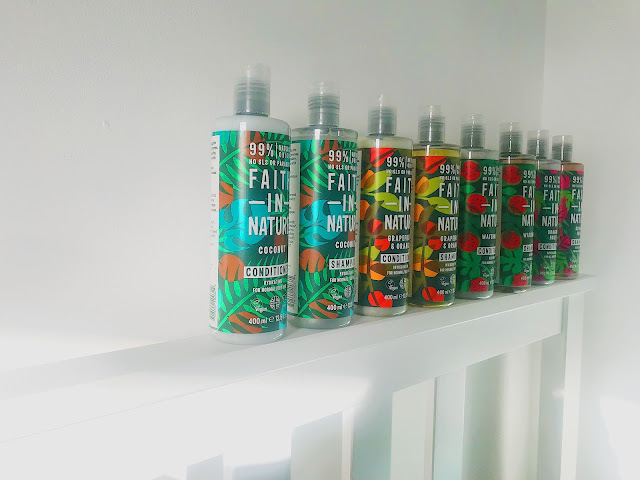 If you know me or have read some of my older posts, you will know how long I have been using Faith in Nature for and how much I really love the brand. They are all about selling natural products and making sure that natural and ethical products are available to everyone. I really love the story behind their brand and it's another reason why I love working with them. They were founded in 1974 and have stuck by their beliefs and ideas for the brand to now. They are all about helping the environment in any way they can and incorporating this into their business! As you all know, using cruelty free and natural products is a big passion of mine so to have found a brand which I love and can talk about is amazing. I have been using these for months and months now and I really think a lot of you will love them if you haven't already tried them! They sell hair care, body care, skincare and hand soap and everything can be found over on their website. I wanted to share with you some of my holy grail hair products from the brand as well as some new products which I have been testing and loving over the past week. The Coconut shampoo and conditioner are products that I have been using from when I was introduced to this brand until now. I always recommend these to anyone who asks about hair products as I know so many people will love them just as much as I do. 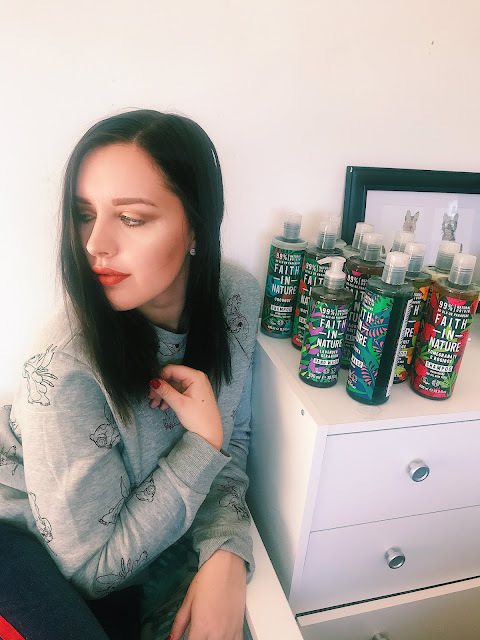 The products always smell amazing and leave my hair feeling soft and fresh. I always know when I have found an amazing shampoo because I don't have to wash it as often as I would with a shampoo that isn't as good. 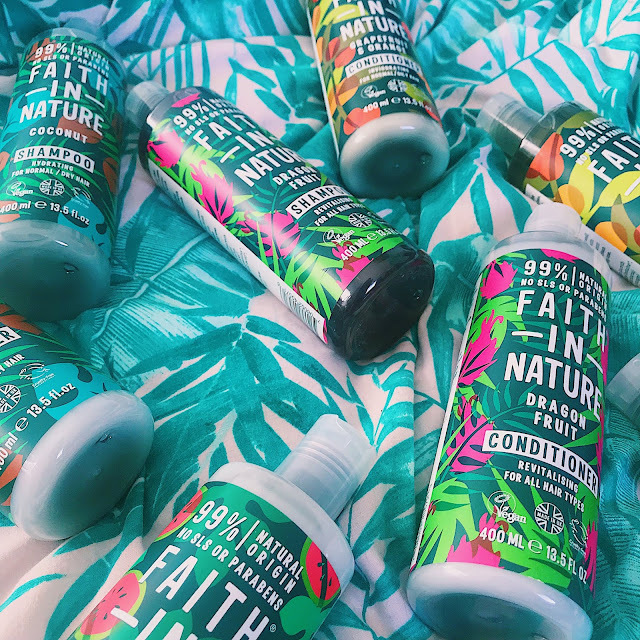 The fact that all the ingredients are natural just makes everything so much better and you know it's doing so much good for your hair! 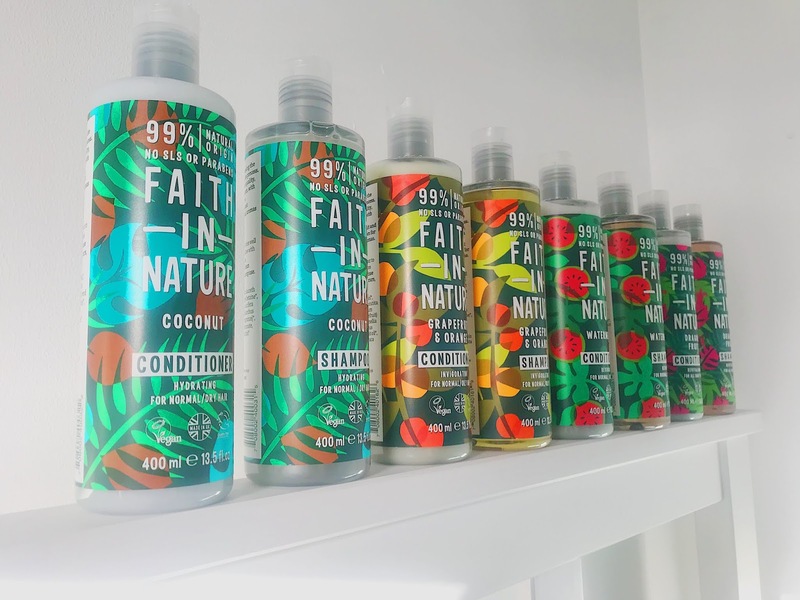 The coconut products are the only one's I have ever really used until the brand sent me across lots of new ones to try and now I am always stuck for choice! Firstly, they have re-designed their packaging from last time I spoke about them on the blog and I am so in love with the new design. I think that it works so so well and it something that will defiantly grab a lot of people's eye. I love the colours and the style for each different product. They are just the dreamiest products to shoot as well- every bloggers dream product right? The new products which I have been testing out are Dragon Fruit, Grapefruit & Orange, Watermelon and Pomegranate & Rooibos. It's safe to say that these all smell amazing as you would think. I love using these to wash my hair with as my hair then smells amazing and it's something that people have noticed. Every scent has a different purpose and is for particular hair types. There are ones for normal/dry hair, normal/oily hair and some for all hair types. Some are specific for nourishing, hydrating, reviving and more. Basically, they have everyone covered and if you're like me and love using them all, then that's even better! 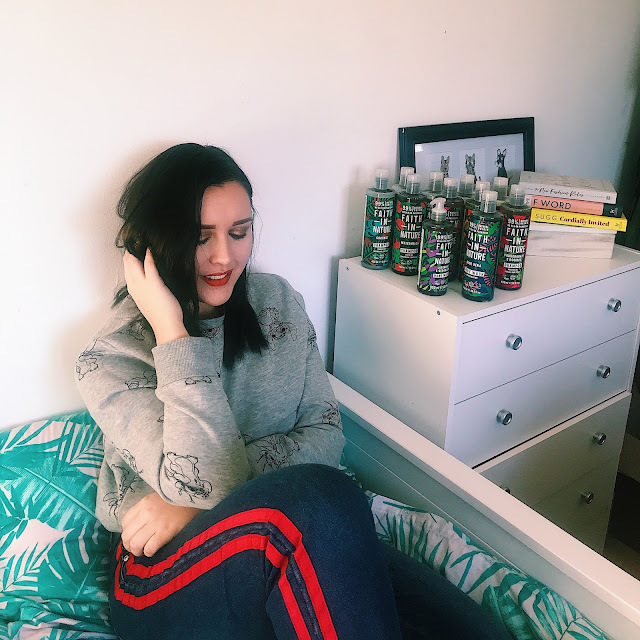 I have really been enjoying using the Grapefruit & Orange one at the minute as it makes my hair feel and smell really fresh and I also think it lasts longer as well before I need to wash it again which is always amazing! Using the matching conditioners alongside the shampoo's is also doing wonders for my hair. I just use a small amount of conditioner on the ends of my hair and I think that this is keeping my hair in amazing condition too! Overall, I am really happy to have found even more products from this brand that I love and can add to my collection. I really do think a lot of you will love this brand just as much as I do and I know a lot of you will also appreciate that it's natural ingredients used as well. 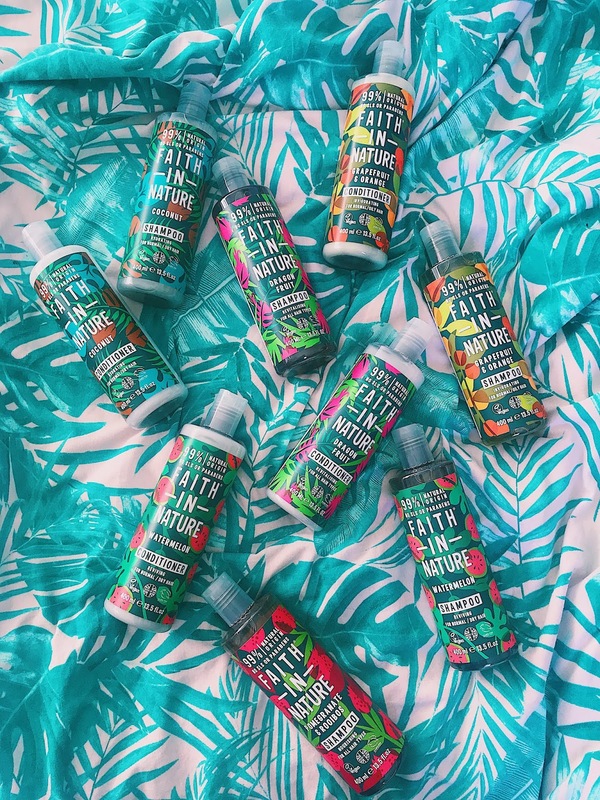 These products are Vegan, Cruelty-Free and all made in the UK! That is honestly the dream for me with my hair products! If anyone is interested in buying any of their products then here is a link for you. If any of you decided to buy anything then please let me know what you decided to go for and what you think! I will be back next week with another post!